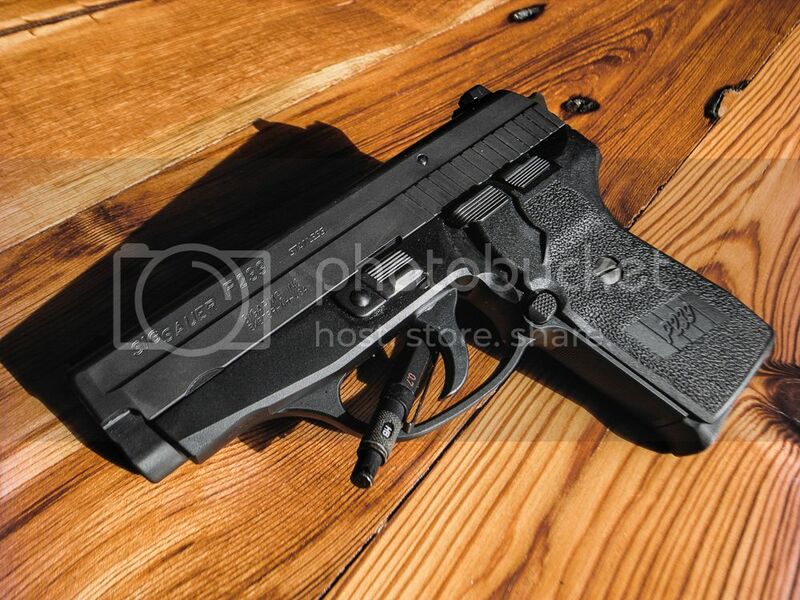 Up for grabs is a DA/SA P239 in 9mm. It is in great condition, only showing some firing wear on the barrel. There are no other scratches, marks, or mars on the pistol. I've run ~200 rounds through it with zero issues. Comes with four SIG eight round mags and a Gould and Goodrich 807 holster. It also has SIGLITE night sights installed. I'm looking for a Gen 4 G27 in similar condition for an FTF trade in Northern Virginia. Email is my preferred method of communication. Please feel free to contact me with additional picture or information requests.